Airport transfers are available from Dublin to Belturbet or Aghinver on Wednesday and Saturday. Transfers from Belfast airport or Knock airport are Saturday only. Transfers after 7pm and on bank holidays are charged at the private rated. “Agreement” means the hire agreement between you and the company which is evidenced by a completed booking the terms of which are the following terms and conditions. 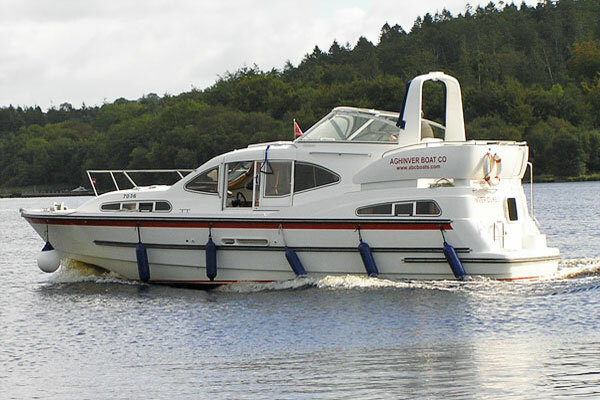 “Company” means Aghinver Boat Company Limited of Lisnarick County Fermanagh BT94 1JY. “Hirer” means the person or persons named in the Booking form. “Deposit” means one third of the total Hire Fee. “He” means that unless the agreement otherwise requires words importing one gender include all other genders and words importing the singular include the plural and vice versa. “Start date” means the start date in the Booking Form. “End date” means the end date in the Booking Form. “Hire base” means the Company’s address at Lisnarick County Fermanagh BT94 1JY. A contract of hire comes into effect only after the Company’s Booking Form has been signed and returned to the Company together with the deposit payable. Payment is deemed to have been made when cleared funds are received in the Company’s bank account. The Hirer is responsible for the whole of the Hire Fee and the balance must be paid on or before the start date. The Hirer must be aged at least 21 years of age at the time of booking and the Company reserves the right to request documentary proof of age. 5.1 Collection time is between 4:00pm and 8:00pm on the start date. 5.2 If the Hirer’s arrival time is delayed the Hirer must notify the Company as soon as possible as such delay may lead to difficulties and delays in making the cruiser available to the Hirer. There will be no rebate for late arrival. 5.3 On arrival at the Hire base the Hirer must pay the balance of the Hire Fee, a refundable insurance breakage deposit and the charges for any provision and extras ordered. 5.4 The Hirer should check the inventory of the cruiser. 5.5 A representative of the Company will accompany the Hirer on a trial run and provide an explanation of the running of the cruiser. 5.6 Novice Hirers will be required to accept an additional period of free tuition prior to the handover of the cruiser to the Hirer. 5.7 The Company reserves the right to cancel any booking or to refuse to handover any cruiser to any person who in the Company’s opinion is unsuitable to take charge of a cruiser. In this event and provided that the Hirer has complied with his obligations under this agreement, the Company will refund the deposit and any other monies paid to the Company by the Hirer and the agreement shall be discharged without further liability on either party. 5.8 The full names, addresses and ages of all members of the Hirer’s party shall be given to the Company’s representative at the handover. 6.1 The cruiser must be returned to the Hire Base and vacated in a clean and tidy condition not later than 9:00am on the end date. Failure to comply with this condition will result in an additional charge to the Hirer of £50 per hour or part thereof of the delay in returning the cruiser. The Hirer will also be liable for any other expenses and losses which the Company may incur as a result of the delay including the loss or cancellation of a subsequent booking. The Company cannot be held liable for any delay in the Hirer’s programme due to a breakdown or the completion of necessary repairs. In the event that service or repairs become necessary during the cruise the Hirer must notify the Company immediately. Service or repairs will be carried out at no cost to the Hirer unless the service or repairs are required due to the Hirer’s negligence. Every cruiser and equipment is insured. Third party risks are covered up to a minimum of £250 000. There is an excess on every claim against the cruiser which is intended to be covered by the insurance breakage deposit at 5.2 above. The Company may apply the whole or any part of the insurance breakage deposit to payment of any claim which the Company may have against the Hirer. Passengers other than those notified on the Booking form must not be carried on cruisers at any time without the prior written permission of the Company. Hirers failing to comply with this condition will have their agreement terminated immediately. 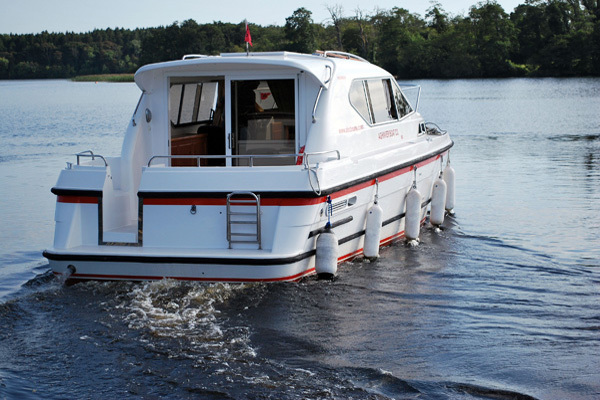 10.1 The Hirer is responsible for the safe navigation of the cruiser on hire. 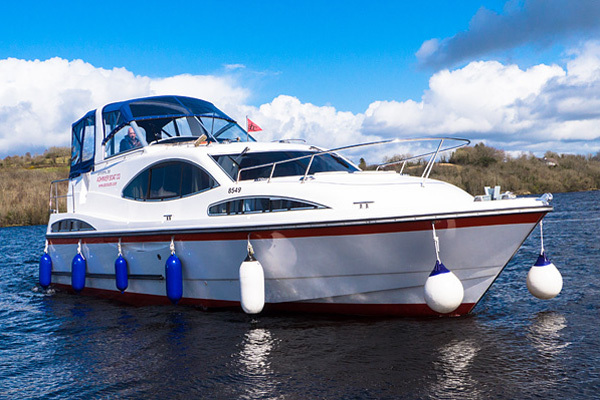 10.2 In the event of any accident or damage involving the Hirer or any other people or property the Hirer must obtain the name of any other boats and the names and addresses of any other people involved and notify the Company of same as soon as practicably possible. 10.3 The Company will not be responsible for any death or personal injury unless it results from the proven negligence of the Company. The Company cannot be held responsible for any delay in the Hirer’s programme due to for example, navigational works, adverse weather conditions, damage, mechanical breakdown, late return by the previous hirer or any other cause outside the control of the Company. 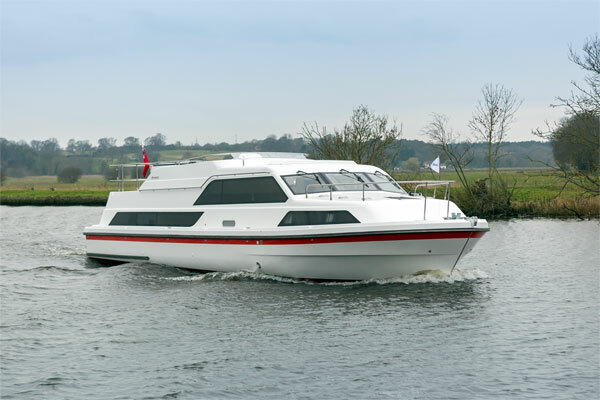 In the event that the cruiser booked is not available due to circumstances beyond the Company’s control for example adverse weather conditions, damage, mechanical breakdown, late return by the previous hirer, the Company may substitute a similar cruiser but if no such cruiser is available the Company shall refund the Hirer with the deposit and any other payments made by the Hirer. Upon such refunds being made to the Hirer, the Hirer shall have no other claim against the Company. Cruisers are not permitted to navigate during the hours of darkness. 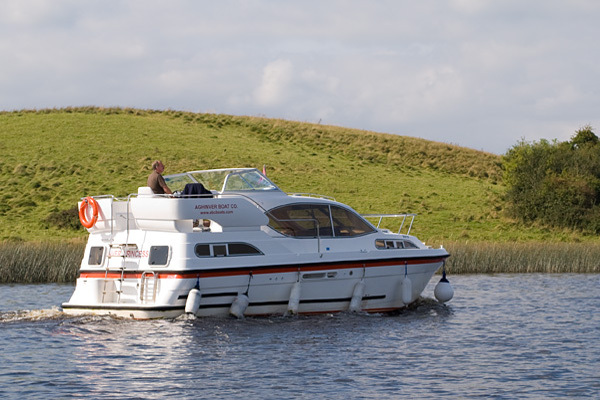 Normally the whole of the Erne Navigation, Erne Shannon waterway and Shannon Navigation are open to Hirers but the Company reserves the right to restrict any part of the waterway to Hirers should abnormally low/high water, weed or abnormal weather conditions render this necessary. 14.1 No cruisers may be towed unless the towing vessel has been authorised in writing by the Company. 14.2 The Hirer shall observe all speed limits and shall not navigate at a speed which disturbs or inconveniences other waterway users. 14.3 The Hirer shall not race the cruiser. 14.4 The Hirer nor any of his passengers shall not bring onto the cruiser any portable heaters, cooking appliances, gas cylinders, candles, tea lights, incense burners, bar-be-ques, inflammable liquids or substances, bicycles, television sets, electrical tools or any other items which might create dangers or hazards without the Company’s prior written authorisation. No deep fat frying (chip pans) permitted. 14.5 The Hirer shall not carry live bait onto the cruiser. 14.6 Smoking is not permitted inside the cruiser. 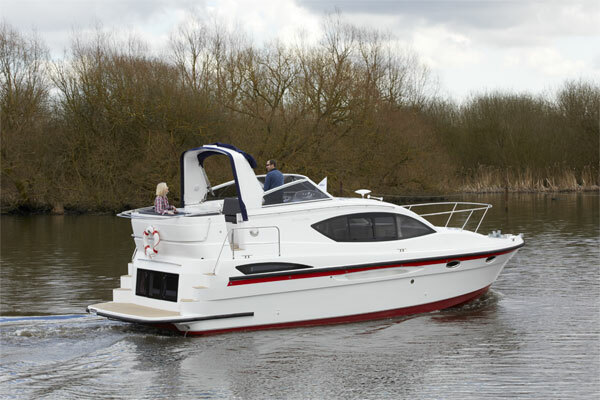 14.7 Buoyancy Aids are provided on board cruisers and the Company strongly recommends that they are worn by the Hirer and all passengers. 14.8 The Hirer shall ensure that the cruiser is moored securely. 14.9 Swimming from the cruiser is not recommended and diving from the cruiser is not permitted. 14.10 The cruiser shall not be navigated while anyone on board is or appears to be under the influence of alcohol or drugs and the Company may cancel the booking and refuse to handover the cruiser or repossess it if the Hirer or any passengers is or appears to be under the influence of alcohol or drugs. The Company shall be entitled to recover any loss, damage and or expense from monies already paid by the Hirer and if such monies are insufficient to cover its losses and or expenses it shall be entitled to bring a claim against the Hirer for the balance of such claim. No pets other than guide dogs are allowed on cruisers. All parts of the cruiser must be kept in a clean and tidy condition at all times. Rubbish must be stored in the bins provided and disposed of as often as possible. The Company accepts no liability for loss or damage to the Hirer’s property, baggage, motor cars or other property on the cruiser. Hirer’s cars are only driven or parked on the Hirer’s instructions and insurance cover is assumed to have been provided by the Hirer. The Company may take such reasonable action as it shall consider necessary to silence car alarms and to recover the costs from the Hirer. 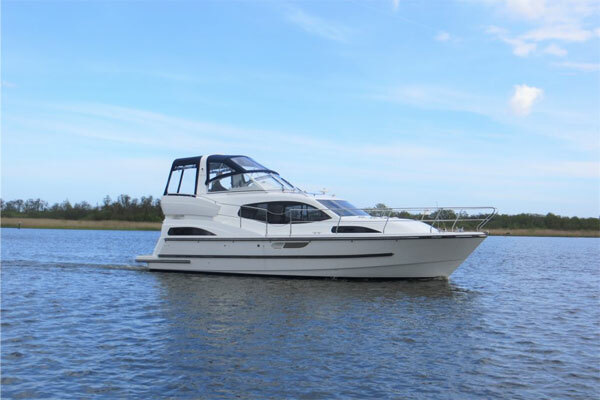 All information on the Company’s web site and or any brochure is intended as a general guide and the Company shall not be liable in the event of any insubstantial differences in the cruisers supplied and reserves the right to make modifications. In particular alterations may occur during rebuilding or refitting, cruisers within classes may differ, colours may vary, layout plans and maps are for guidance only and are not to scale. Cruisers will be handed over with full fuel tanks. Fuel used will be charged at the current rate then applying at the end of the hire period. 20.1 For any of the reasons described in clauses 3, 5.2, 5.3,5.7, 6.1, 6.2, 9, 14.1, 14.2, 14.3, 14.4, 14.5, 14.6, 14.7, 14.8, 14.9, 14.10, 21, 22. 20.2 In the event of an accident affecting the safety or navigability of the cruiser. 20.3 For non – payment of any sum due under these terms and conditions. 20.4 The Company is entitled to recover from the Hirer any loss which it suffers as a result of cancellation under any of the terms referred to in clause 20 and it may retain all or part of any payments which the Hirer has made as security for such claims. Subject to this term if the Company is able to rehire the cruiser for all or part of the hire period it will give credit for the net sums received as a result of such rehire. 20.5 The hirer has a 7 day ‘cooling off’ period from the day they pay their deposit, in which time if should they notify the company they wish to cancel their contract, the hirer will be given a FULL refund of their deposit. The Company may repossess the cruiser at any time after the start date if in the opinion of the Company the Hirer is unsuitable to be in charge of the cruiser for any reason affecting the safety of any person or property including in particular if the Hirer and or any passenger is or appears to be under the influence of alcohol or drugs or if the Hirer and or any passenger is not behaving responsibly and or if there has been a material breach of the terms of this agreement. Any Hirer found to have tampered with the engine speed control will have their hire agreement cancelled immediately and the insurance breakage deposit will be forfeited until the cruiser and engine have been checked for possible damage. If any provision of these terms and conditions is prohibited by Law or judged by a Court to be unlawful, void or unenforceable, the provision shall, to the extent required, be severed and rendered ineffective as far as possible without modifying the remaining provisions of these terms and conditions and shall not in any way affect any other circumstances of or the validity or enforcement of these terms and conditions. The parties hereby confirm their intent not to confer any rights in any third parties by virtue of these terms and conditions and accordingly the Contracts (Rights of Third Parties) Act 1999 shall not apply to this Agreement. The construction, validity and performance of these terms and conditions shall be governed by the Law of Northern Ireland and the Client hereby submits to the exclusive jurisdiction of the Northern Ireland Courts. If you do not take part in the Scheme, every effort will be made to re-let the craft. If successful, the deposit will be returned to the cancelling Hirer, less a re-booking fee of 15% of the Hire Fee. Otherwise the cancelling Hirer will still remain responsible for the balance of the Hire Charge. To participate in the Cancellation Scheme please select the ‘Subscribe to Cancellation Scheme’ option when booking. It will is necessary to notify the Company of the names and addresses of ALL members of your party by email. The premium is 3% of the TOTAL Hire Charge. 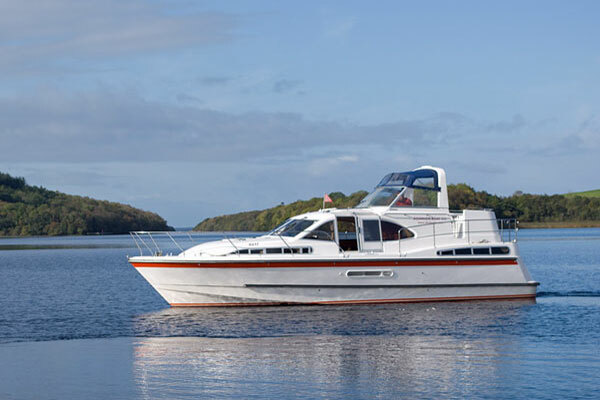 The McCaldin family are pleased to offer one of the most modern, clean and well-equipped charter cruiser fleets in Ireland, moored at our private, sheltered harbour overlooking Lough Erne’s historic White Island. Providing free parking, showers and toilets on-site, we are open seven days a week to give help and advice with your boat hire.